She once used to live in East Williamsburg and hang out in Bushwick all the time. While she still hangs out in our neighborhood often, she now lives in Manhattan and works for the greatest performance artist alive, Marina Abramovic. 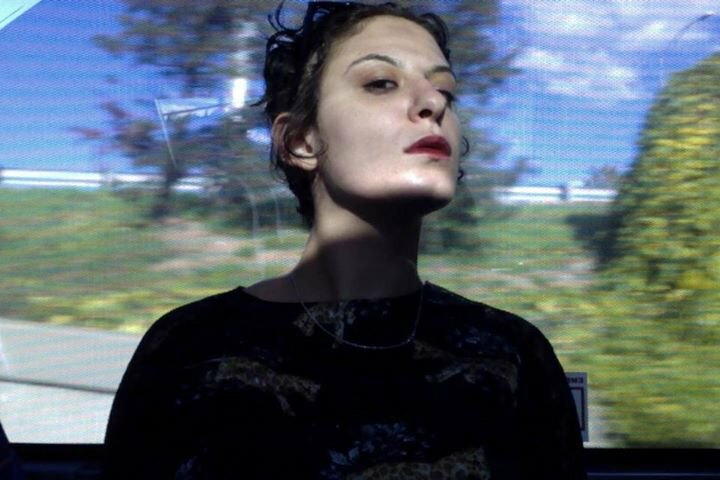 Siena Oristaglio is the director of communications and the brain behind the Kickstarter campaign for the upcoming Marina Abramovic Institute (MAI) in Hudson. 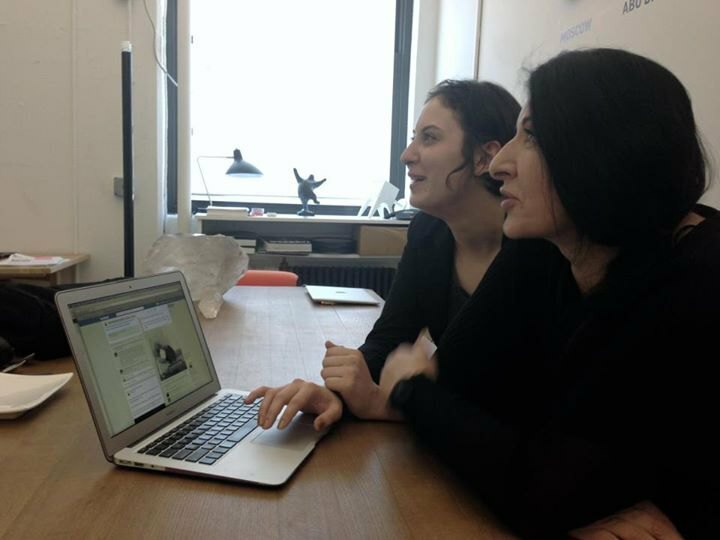 I caught Siena on Facebook chat yesterday, and she explained why it is important for Marina to have the public - before big donors - as primary founders of the Institute through Kickstarter, what it's like to work with Marina Abramovic everyday, and why Marina connects with people through digital platforms such as Reddit. With only 16 days left of the campaign, MAI has raised over $250,000 of the $600,000 goal, offering rewards such as a hug from Marina Abramovic for $1, or a $25 Abramovic method rewards. The campaign has largely been led on social media, and supported by celebrities such as Jay Z and Lady Gaga. Lady Gaga has done several Abramovic method exercises, and appeared as her very bare self in the video released two days ago by MAI (below). BD: Can you tell me what your day at MAI looks like? What were you up to today? Siena: Well, I'm running the Kickstarter campaign, so of course I don't sleep. The video of Lady Gaga practicing the Abramovic Method went live last night. As well as us releasing the reward wherein Marina is going to hug every single backer of the campaign. As you might imagine, my inbox was very full this morning. BD: Can you give us a brief overview of the Abramovic method and how it connects to MAI? Siena: In the 1970s, Marina and Ulay began teaching workshops for students of performance. These workshops consisted of many exercises that they had experimented with on themselves throughout their artistic careers, and they were designed to teach performers necessary skills to perform long durational works (endurance, willpower, perception, focus, confrontation with mental and physical limits) these workshops they called "Cleaning the House" workshops, as in the internal house, the body. After Marina and Ulay split, Marina continued teaching these workshops to students of performance. More recently, she has adapted these exercises for the GENERAL PUBLIC (not just performers).The exercises prepare participants both to perform and/or EXPERIENCE a long durational work of art. This is the Abramovic Method. It's for everyone. It's for each individual to experiment with for his or herself; it's about internal self-discovery and heightening your awareness of your mental and physical state in the present moment. There are also relational exercises designed to increase empathy between participants such as the eye-gazing exercise. BD: Let's talk a little about Marina and social media. Many people were a little startled by Marina's intense presence on social media, like Reddit. What's your opinion about that - does performance art/artist belong on social media and on digital platforms? Siena: You know, those are two questions. When Marina connects with the public on Reddit, it's not performance art. It's an artist and educator answering questions from the broader public, whom she hopes to inform about performance art and long durational work, and whom she hopes will come to the institute and use it as a resource in the future. Long durational works have such a rich history. From Wagner's 15-hour operas to John Cage's 639 year-long musical piece to Tehching Hsieh's 1 year performance series, and the institute hopes to preserve and present these works for new generations of artists and scientists to experience, and also create a collaborative interdisciplinary environment from which new works can be born. Marina couldn't possibly achieve this vision if she was not willing to engage with the public through whatever channels are available to answer their questions and be accessible for discussion with respect to the second question. BD: That's a great point! BD: Absolutely. Can you explain your role in developing the digital strategy of MAI? Siena: I run communications for MAI, and I'm also running the campaign with a small but super devoted team: Christiana Cefalu (freelance writer), Maria Sprowls (press assistance), Billy Zhao (programming assistance), and Leah Aron (development consultant). We talk every day about how to best engage in critical discussions with the public. Our strategy is basically to enact the vision of MAI before the building exists in a physical location, so that means critical thought, engaging discussions between people of various disciplines and generations focusing on educating the public about long durational works. We're running the Kickstarter because we want to give people of all socioeconomic statuses the opportunity to some ownership of this project, contribute in whatever way they want to, and in so doing, help us to found the Institute. It's a very unusual approach for a cultural institution of this size to open its arms to the public before approaching larger donors but that's what we've decided on, because it fits with the mission. We are also applying for many grants at various levels. In hopes of being able to make this accessible to as wide of an audience as possible, the ideal MAI would be a free resource, but obviously we depend on funding to make that work. BD: How long have you worked for MAI and how does one get such an awesome gig? Siena: I've worked for MAI for over a year now. I met Marina through a mutual contact and suggested the idea that she run a Kickstarter. She introduced me to Serge Le Borgne, the director of MAI, and he and I maintained a long correspondence with many discussions over the course of a few months. He imagines MAI as a think-tank. So we added to that think-tank until the time came when he decided they'd like to go the route of social media and connecting with the public virtually. Then I came to the team officially in March-ish. Since then, we've been connecting with an online community building support for the institute, etc. BD: Do you get to meet Marina often? Siena: Yes, I see her almost every day or speak with her on the phone. She's involved with this process, but obviously is also busy with personal artistic projects. This is her big dream though. She is incredibly down to earth and interesting and loves unconditionally. Never a boring moment! BD: You're an artist as well. Would you say that your work has been influenced by your exposure to Marina? Siena: Absolutely! Her work was included in my thesis for New School; my major was arts in the context of science. Specifically, I incorporated performance studies into my thesis, and looked at what happens in our brains on a neurological level when we witness a performance, and what the implications of this are regarding human empathy on a biological level. I looked at Rhythm 0 for that thesis and also did a corresponding art project based on this concept. The fact that MAI is going to have a science chamber and is so focused on bringing people of different disciplines together is really why this is a dream project. BD: Ok, I have to ask about Jay Z and Lady Gaga. So how did they come on board? Marina has recently appeared in Jay Z's video shoot...and now with Lady Gaga. Is it all part of the promo for MAI or are they buddies for real? Siena: Yes, I will tell you the story. First, Jay Z decided to make a music video based on the Artist is Present, so he approached Marina about this, asking if she would endorse it. Marina, being who she is, said yes, as it is absolutely in line with her primary focus of raising awareness for long durational works and performance art to a public who may not otherwise know about these areas. MAI is not only for artists the wider the audience; the more interesting and innovative collaborations will be able to happen in this space also. It helped that Jay Z told her that he would be rapping for six hours, which is the number of hours that classifies a "long durational work" by MAI's definition. MAI hopes to have a program called the EEA program (established / emerging / aspiring) - this means intergenerational collaboration between disciplines AND degrees of experience. Siena: All I know is that the building she looked at was toxic and this would present deep problems with respect to renovation, but mainly Marina decided that it was important to be out closer to nature because part of the method requires slowing down and connecting to your environment. That's why she chose Hudson. BD: Wasn't she afraid that MAI won't have as much traffic as it would get in the city?